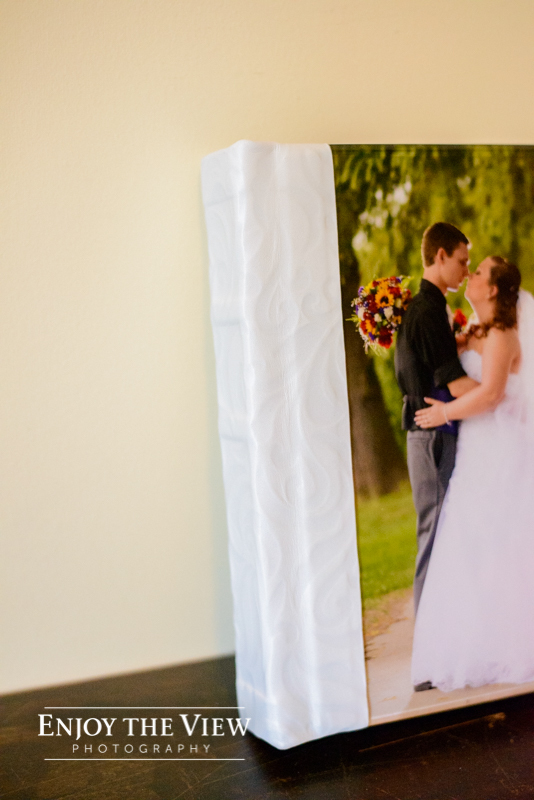 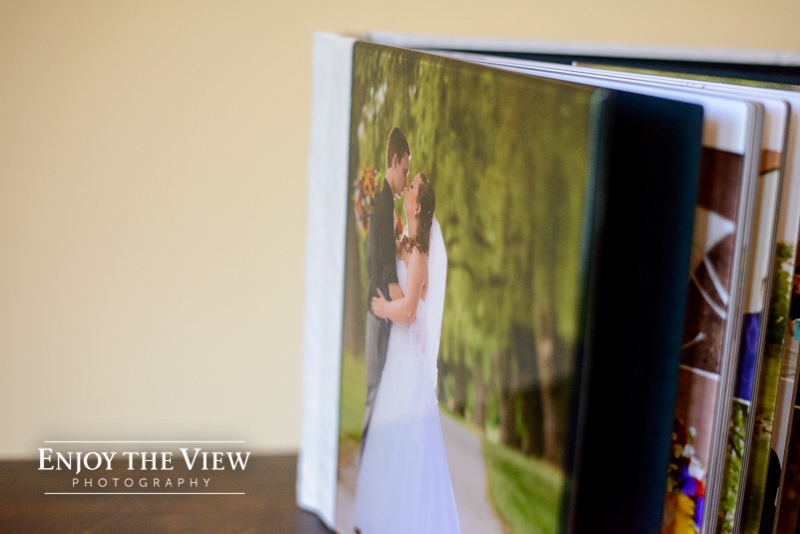 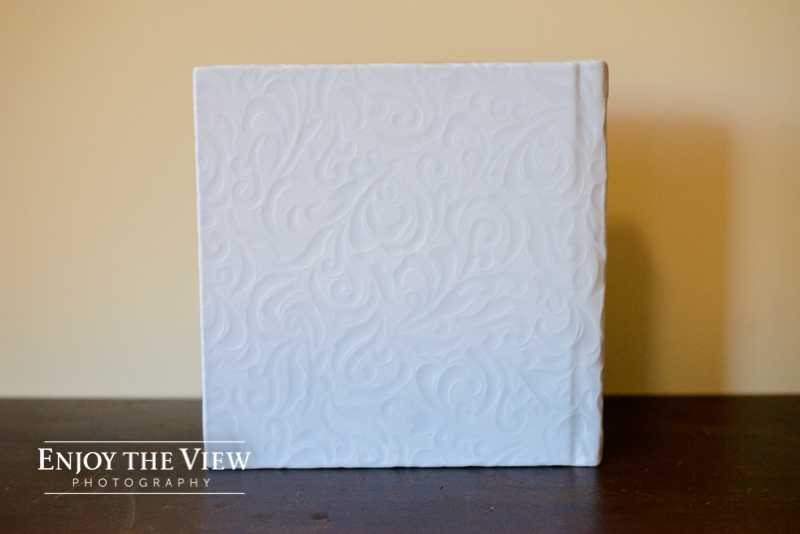 Kendra and her mom picked up her and Cody’s wedding album last week and we LOVE it! 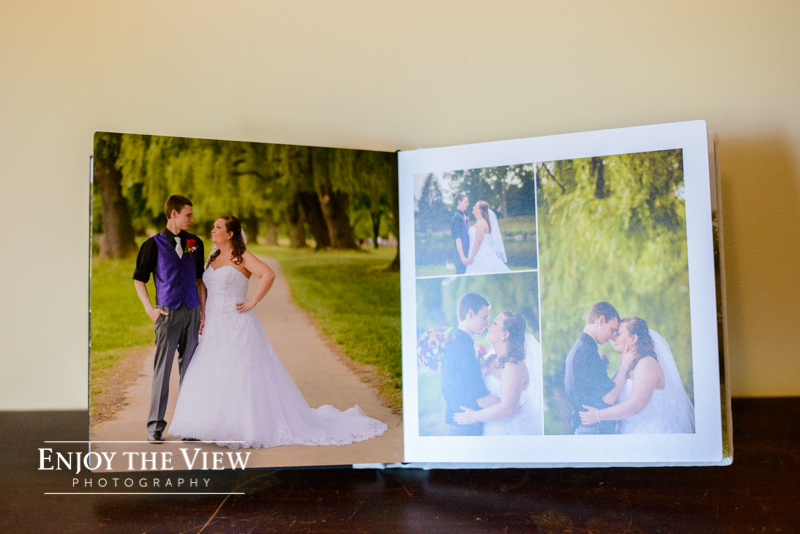 Their day took place at the Bavarian Inn in Frankenmuth and for their cover, they chose an image of the two of them by the willow trees near the Inn (one of our favorite places to use for photos). 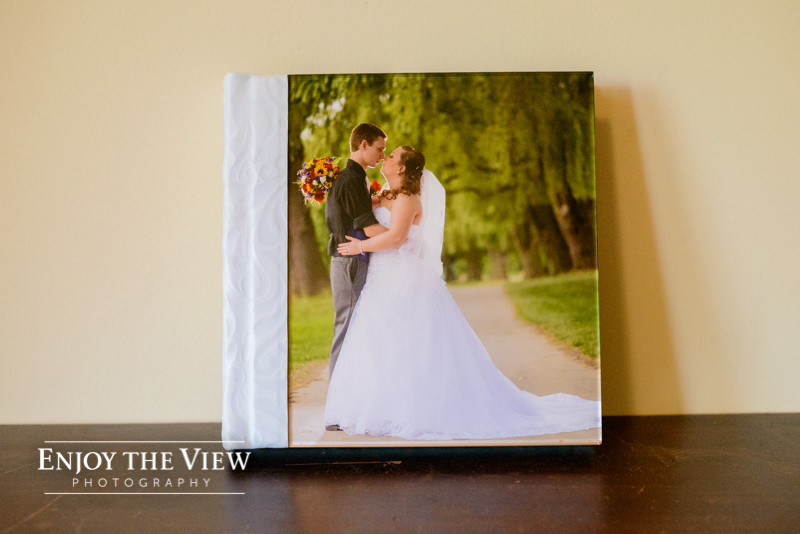 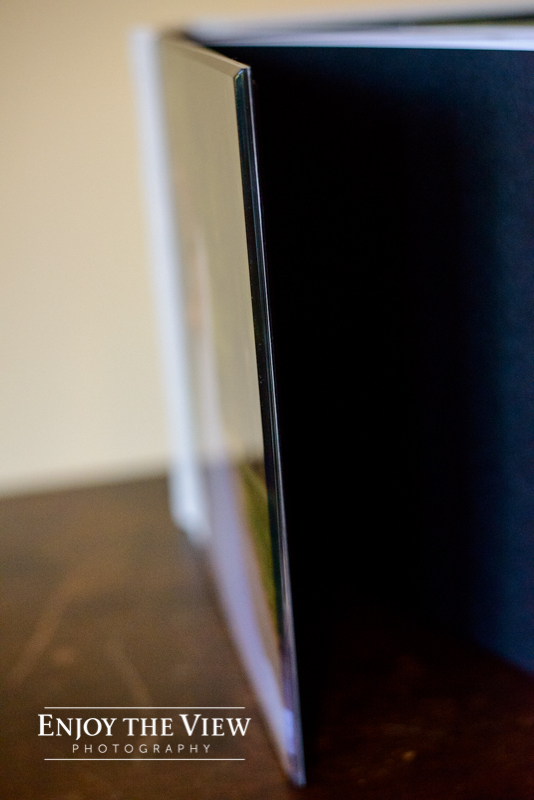 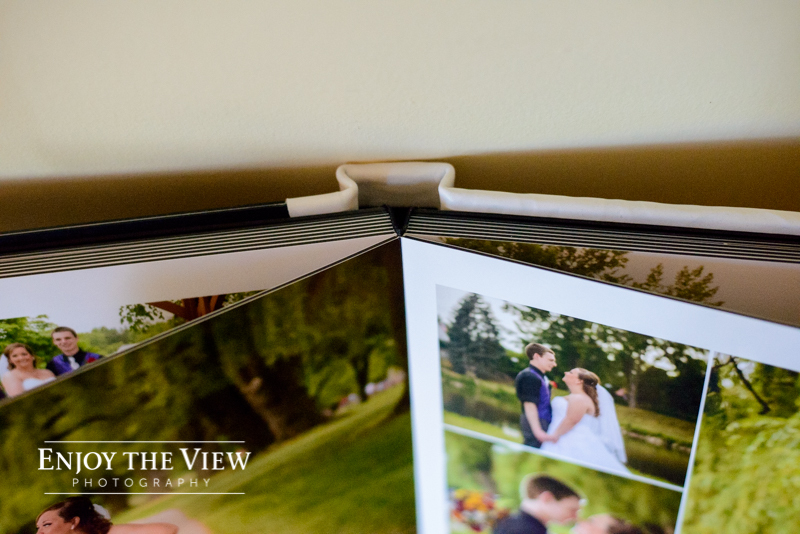 The acrylic cover and white leather were perfect choices to complement their photos!